Mushroom Complex is a special organic blend of Reishi, Shiitake and Maitake mushrrom powders. These three mushrooms have been used for thousands of years in traditional Chinese medicine. It can be added to soups, stews and curries for a wonderful mushroom flavour. It is high in protein which contributes to the maintenance and growth of muscle mass. 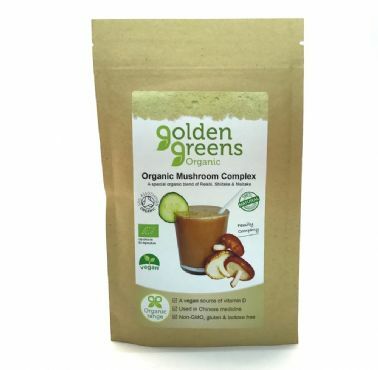 Soil Association certified ingredients: 100% Organic Mushroom Powder.